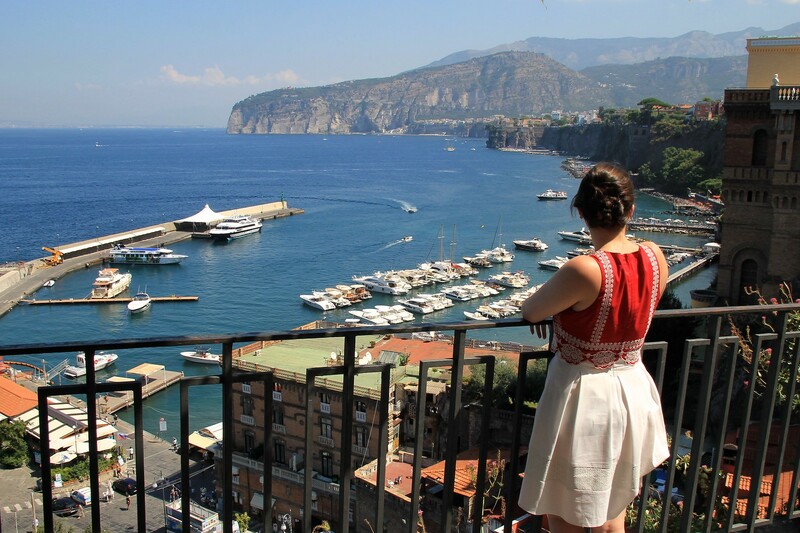 Sorrento was one of those places I had always seen in guidebooks or online being featured as a location on things like '50 places to see before you die'. I must admit, naively we booked this straight off the mark without really fully researching it, and when you type it into google images for example, you're hit with photographs of Positano, a beautiful colourful coastal town built into the hillside of the Amalfi coast, where I just assumed was going to be a five minute walk from Sorrento. 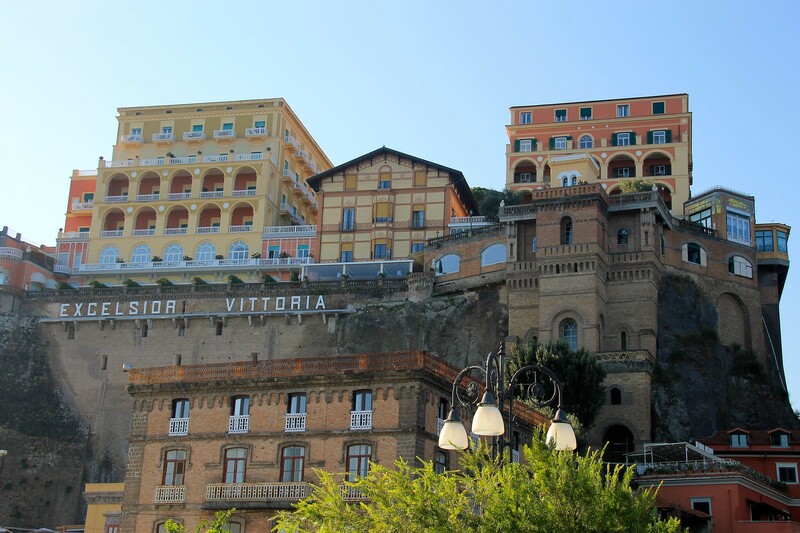 Sorrento was beautiful, but we didn't get off to the best start. Coming in from the train across from Pompeii we were totally lost. We could see the ferries at the bottom by the sea on top of a very high road, and decided that we would walk down there (yes, with our cases! oh those stairs!) to find out some information about where we wanted to go, and to get a taxi to the B&B we were staying in for the next two nights. We paid £15 for a taxi to be told he would take us straight there, only to pull over five minutes later and be told that the streets are too narrow for them to take us and we would have to walk. We still paid. We were stupid, we were miles up into the hills and we had been left at the bottom. Dragging our cases up and relying on a very bad signal on our phones for google maps, we finally arrived at our B&B, to find that it was indeed surrounded by accessible roads and we had indeed, been taken for a tourist fool. 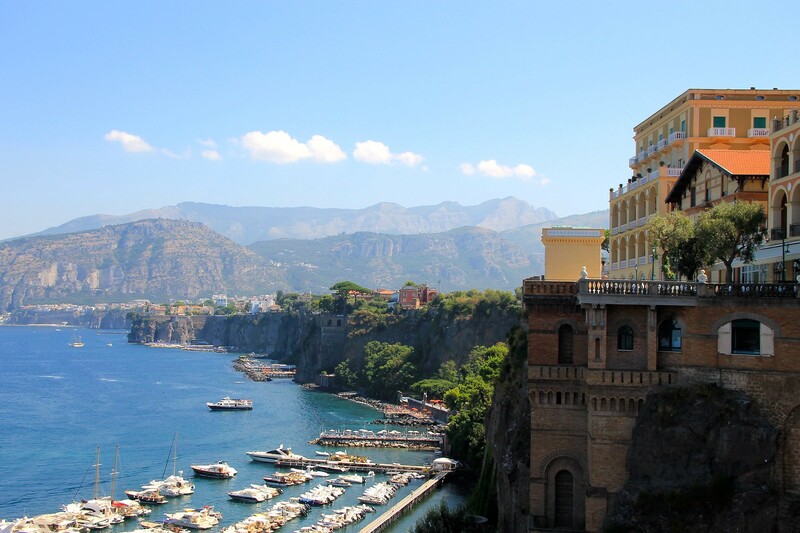 For the time we were in Sorrento we pretty much visited all the main attractions. Used mainly as a bee for day trips down the Amalfi coast out to the likes of Capri and Positano, Sorrento itself still has a few hidden gems of it's own. 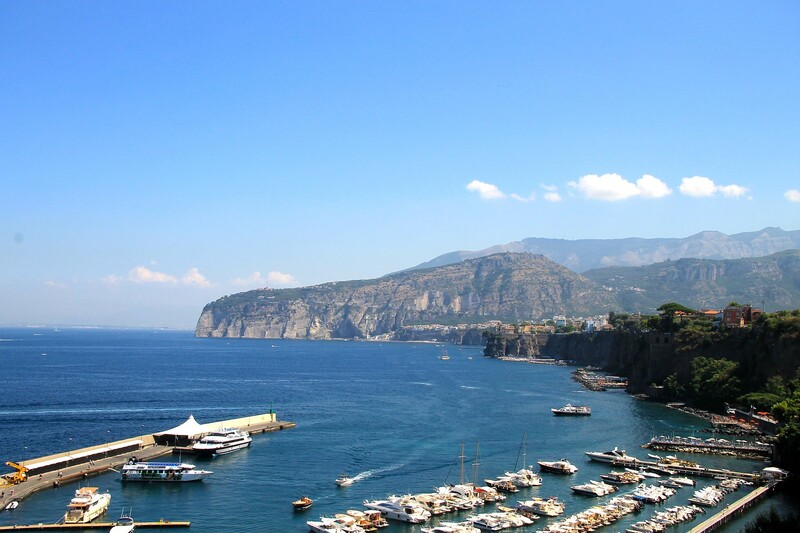 Head down to the Marina Grande to look up and see Sorrento from sea level built up into the cliffs. Take a walk around the marina to check out the boats passing by, and watch the fishermen. There are several small street side shops and cafes to browse and enjoy a morning coffee whilst the town wakes up around you. It's from here you'll also find the many boat tours to surrounding towns and islands down the coast. 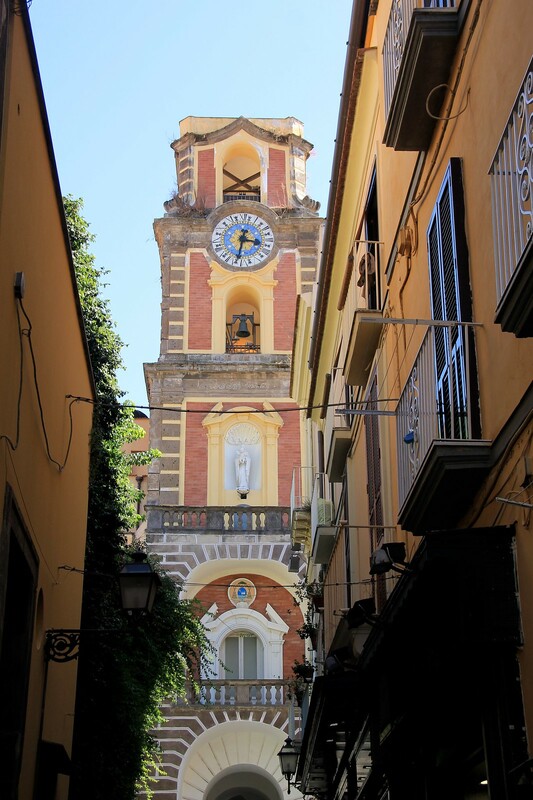 A hidden delight in Sorrento, check out the Chiostro di San Francesco church for some truly beautiful architecture, wrapped in wisterias and bright pink blossoms. 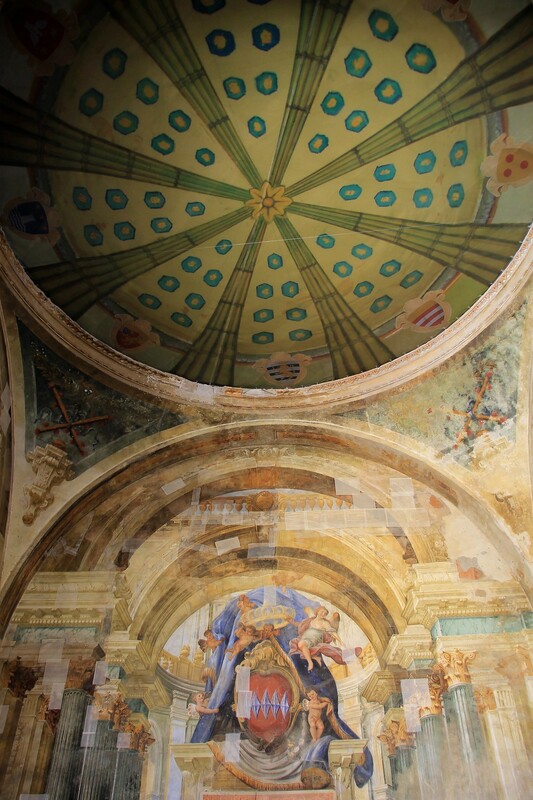 The Cattedrale di Sorrento and Basilica di Sant'Antonino are equally as impressive, if not more ornate to escape for some tranquility and calm in the town. 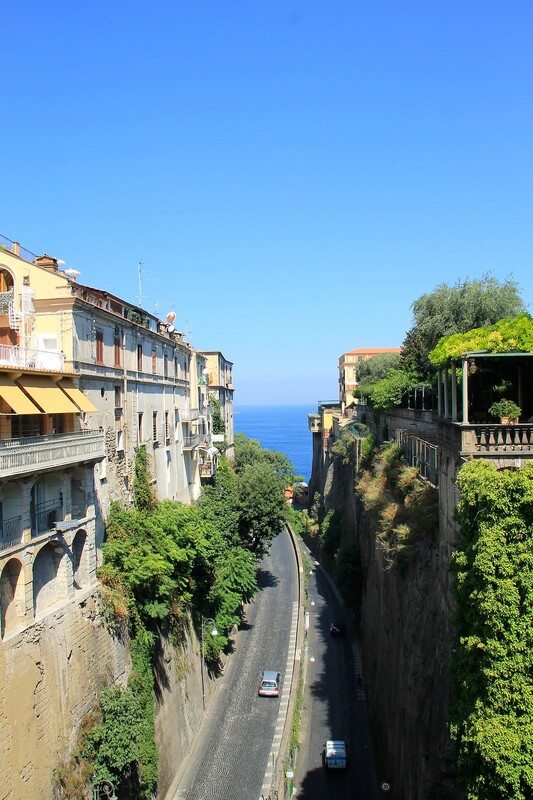 The Corso Italia is the main street in Sorrento, and by far the most beautiful. With over hanging cliff sea views, it can be a little high for those with a fear of heights, but truly breathtaking. Be aware of the steps down to the sea and marina, they're definitely quicker than winding down the flat road, but can be difficult. Enjoy an evening meal at the Grand Hotel Aminta Dafne, with overlooking sea views as you watch the sun set over Sorrento with the most beautiful of skies, a perfect way to spend an evening. Sorrento was pretty but it was expensive, and absolutely full of British tourists. Now I'm aware how silly this must sound being British tourists ourselves, but I was really hoping for something a little more authentic, not just the UK with nicer views and weather. It really was a world away from the small village of Scafati we had just come from hours before where not a single person spoke English. It really is an unashamedly resort town. We were only there for two days so wanted to make the most of our time all the same, and decided that we most definitely wanted to go further down the Amalfi coast. 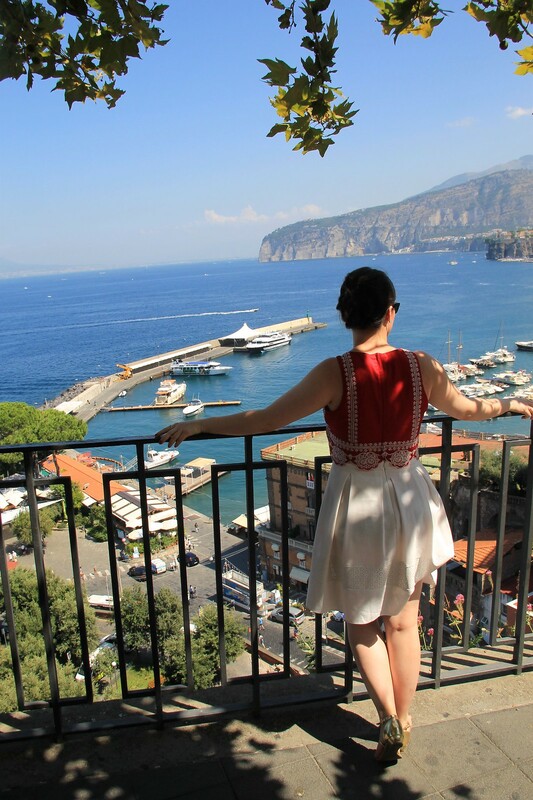 Exploring all the tiny side streets of Sorrento and hillside views, we made our way down to the harbour the following day to see about getting a boat tour. There are so many different companies all offering pretty much the same thing, but we managed to find one that worked out as just over £20 that allowed us to see all the sights we wanted down the Amalfi Coast, and even a dip in the Mediterranean sea off the side of the boat at the lavish island of Capri. 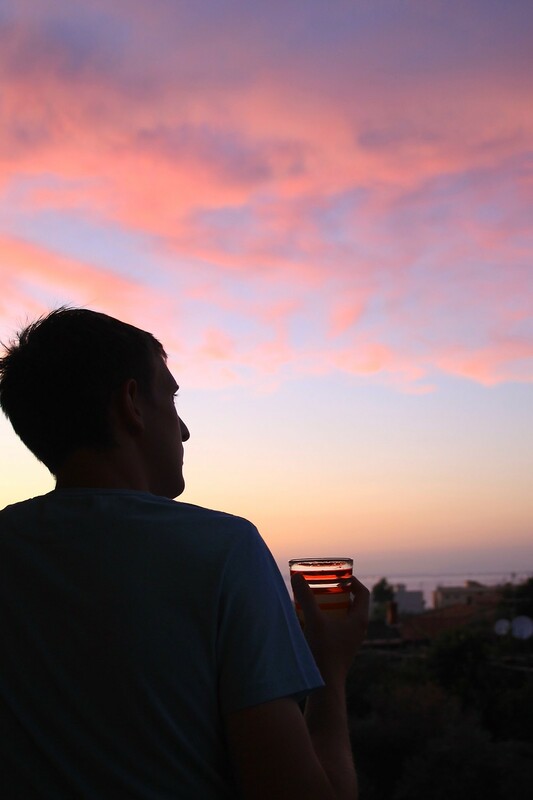 You can read more about our day trip down the Amalfi Coast and words of advice - here.